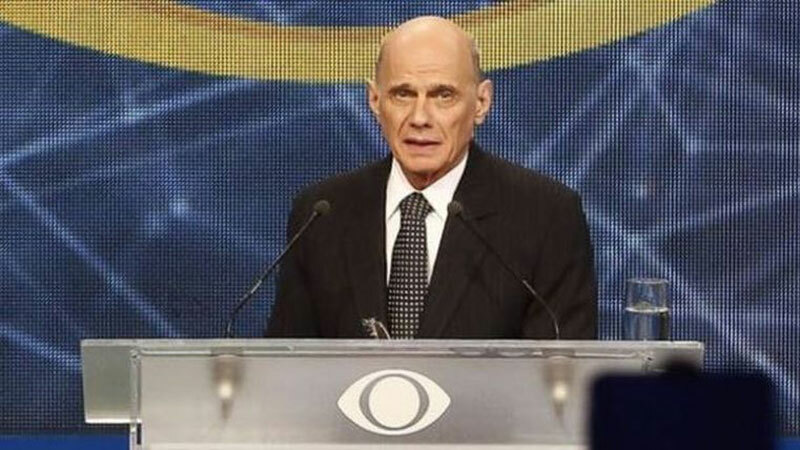 An award-winning Brazilian television news anchor died when a helicopter carrying him crashed on one of Sao Paulo's main highways. Ricardo Boechat, a father of six, was returning from a university in the city of Campinas when the helicopter crashed onto a truck. Police confirmed the pilot also died. The 66-year-old anchored TV Band's main nightly news, as well as hosting a radio program and writing a column for IstoE magazine. He was also a frequent mediator of presidential debates for his network. Boechat had won three of Brazil's most prestigious journalism awards for his reports on corruption. He was noted for poking fun at politicians across the political spectrum. "The helicopter tried to land in an access road close to a toll station. But then the truck came and they crashed. The fire occurred because of the collision," Paiva said. President Jair Bolsonaro, a frequent target of Boechat's criticism, expressed his condolences on Twitter.